Hunters Walk arcade leads through to Market Square offering views back to the South-West facing restaurant and office building. The design and materiality of this frontage envisages a contemporary terracotta cladding toned to match the façade of the old library building and complimented with bronze toned details. 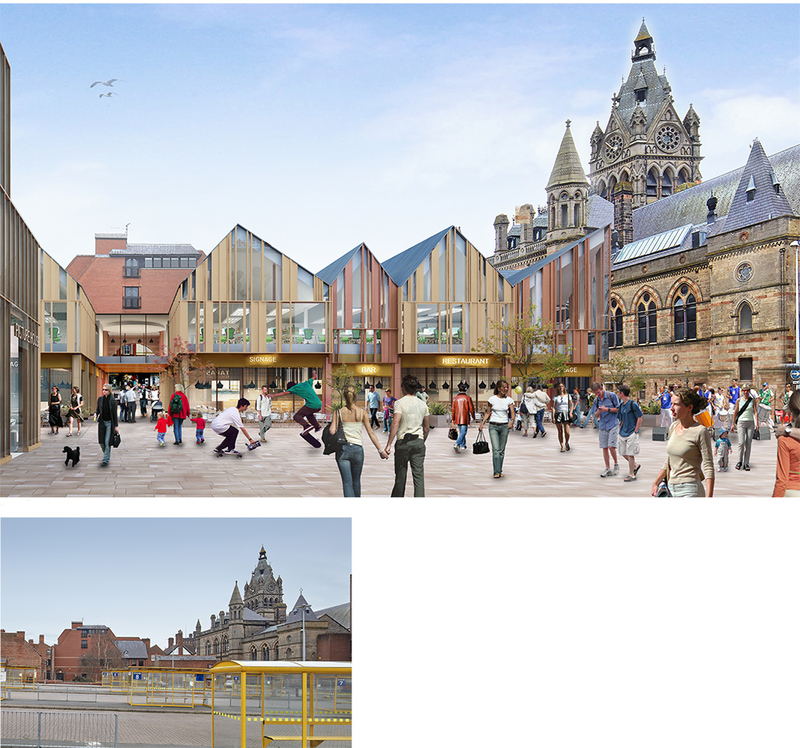 A varied roof scape and elevational rhythm are inspired by Chester’s historic townscape and a visual dialogue is established with the building forms along Princess Street and Hunters Street as well as the dramatic and varied town hall skyline.